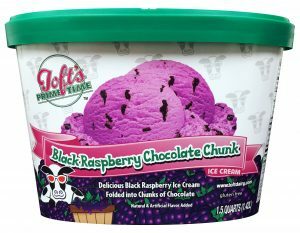 With the additions of Salty Caramel Fudge Truffle, Peanut Butter Cheesecake, and Black Raspberry Chocolate Chunk, Toft Dairy has once again dreamed up delicious flavors. 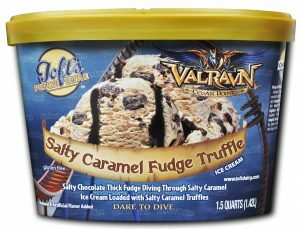 Salty Caramel Fudge Truffle – Salty Chocolate Thick Fudge Diving Through Salty Caramel Ice Cream Loaded with Salty Caramel Truffles. Peanut Butter Cheesecake (Coming Soon) – Creamy Peanut Butter Ice Cream Loaded with Pieces of Real Cheesecake. Black Raspberry Chocolate Chunk – Delicious Black Raspberry Ice Cream Folded into Chunks of Chocolate.